Acupuncture has come a long way from being a ‘fringe’ alternative medical treatment. 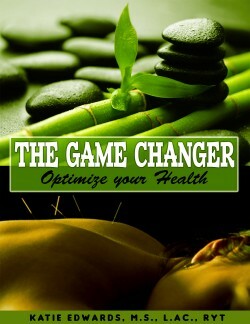 Acupuncture is now widely accepted with hundreds of studies showing just how well acupuncture works. As many already know, acupuncture can help with a slew of afflictions, like migraines, anxiety, stress, digestive issues, allergies, weight loss. Acupuncture has proven its effectiveness for chronic pain and insomnia too. But how does using acupuncture to treat one ailment affect the rest of the body? Are There Side Effects from Acupuncture? In short, not really. Acupuncture needles contain no chemicals so there aren’t adverse reactions from needles. Acupuncture also forces your body to use its own substances to heal. This promotes things like increased blood flow and releases endorphins, which are the body’s natural painkillers. Endorphins promote the production of collagen which makes the skin smoother and eases wrinkles. Traditional Chinese Medicine (TCM) take the view that practitioners are meant to keep the body well, not just treat illness. Often if a patient was sick, the TCM doctor was seen as not doing her job. This mindset carries over into TMC practices today. Acupuncturists are concerned with all your bodily systems—working diligently to make sure a disruption to one (like a cold) is addressed from all angles to protect the entire body. Today, when you head to your general practitioner to cure your sinus infection, you’re handed a prescription with a long list of side effects which can leave you feeling worse off. When you’re tapping into your own body to relieve your sinus infection, there is not a long list of side effect or even short one. With acupuncture, you aren’t putting anything manufactured or chemically made into your body. When you do acupuncture it forces your brain to release its own natural chemicals which can have a positive impact on more than just the physical symptom you are alleviating. The longer you do acupuncture the more proactive your treatments can be. Instead of getting a fever before hitting the doctors office, an acupuncturist can help keep the fever at bay. They can suggest supplements and dietary adjustments to help improve your physical, mental, or emotional aliments—something most general practitioners cannot do, as they don’t tend to look at the whole picture. Studies have shown that acupuncture helps restore mental and emotional imbalances, and can prevent cognitive decline for some elderly patients. Because acupuncture generates a neural response in the areas of the brain most often affected by cognitive diseases, the longer you do acupuncture, the longer these responses keep firing. It is never too late to get started on an acupuncture regimen. Whether you are in excellent health and looking to maintain that, or suffering through your day with a few chronic symptoms, a well-trained acupuncturist can help you feel better. Depending on your exact pain points and health conditions, each person will start to see results at a different time, but generally after three sessions, many have already started to live an improved life.